An aspiring 17 year old stood proudly on the top step of the podium; the winner of the Junior Boys’ Singles event, it was another step in his career. Now that teenager is 28 years of age and he is listed at no.10 on the current Men’s World Ranking list. The year was 2005, the occasion was the first ever El Salvador Junior and Cadet Open; the player was Portugal’s Marcos Freitas, a quarter-finalist in the Men’s Singles event at the recent Rio 2016 Olympic Games. Furthermore, he is not the only Olympian to have competed in the tournament which has set a standard for other smaller national associations; the likes of Great Britain’s Paul Drinkhall and Chinese Taipei’s Chen Chien-An, both on duty in Rio de Janeiro, have all plied their skills in the Central American country. Now when play commences on Thursday 25th August, it will be the 12th consecutive edition of one of the most firmly established ITTF World Junior Circuit Tournaments of all. Tentative first steps but since those days, the tournament has gained a reputation that is the envy of others. The El Salvador Table Tennis Federation has shown the rest of the world that a comparatively small association, in a country with a population of just over six million, can achieve. 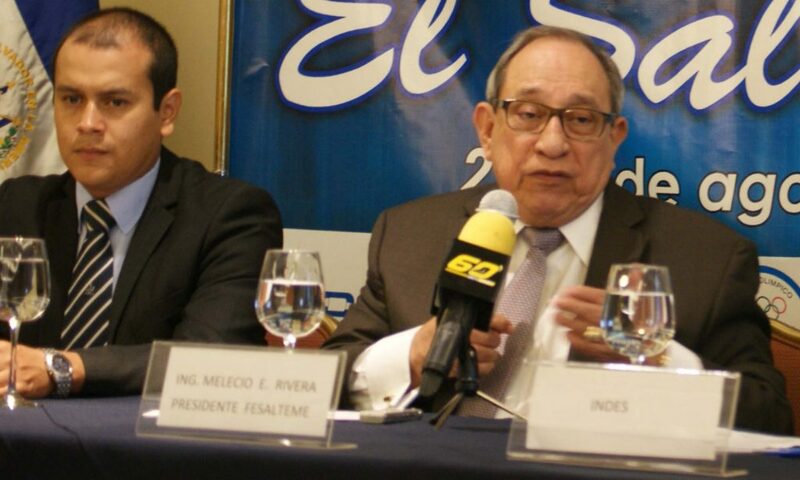 One of the major reasons in that the President of the Federation is Melecio Rivera, ITTF Executive Vice President; if a World Ranking list was created to name the number one host, he would top the list. Everybody is made welcome; he even opens his house for the delegates of the national associations who are competing. Also, there is an experienced Organising Committee in place. A Press Conference is organised two days before the event commences and prior to play beginning, an Opening Ceremony of one hour, with a military band and a dancers in local costume, is always on the agenda. It was all part of the welcome, it sends the clear message that a well organised tournament awaits; one that coaches ink in on their agenda, or whatever they do with a laptop computer these days, before any others. Most notably, in 2005 Nils Sandberg from Sweden’s Ångby Club was present with the likes of Gustav Ericsson, Martin Singh, Felicia Falk and Madeline Melcher, the Junior Girls’ Singles winner; now in 2016, he is present with players who will compete in the Hopes Category to Oskar Danielsson and Hannes Iwarsson who are both highly seeded in the Junior Boys’ Singles event. The fact that the wise sage of the club that has been graced by the likes of Jan-Ove Waldner and Mikael Appelgren returns year after year, underlines the quality of the El Salvador Junior and Cadet Open. True to tradition with Melecio Rivera in the chair, a Press Conference was held on Tuesday 23rd August at the Royal Intercontinental Hotel. Present alongside Melecio Rivera was Professor Jorge Perez Quezada, the President of the Instituto Nacional de los Deportes de El Salvador (INDES), the National Sports Council. Also in attendance was Ismael Ochoa, representing the Mayor of San Salvador and Ecuador’s Freddy Almendariz, the ITTF Competition Manager. Notably an impressive 96 players representing 11 national associations will compete in San Salvador. “We have registrations from Brazil, Ecuador, Guatemala, Panama, Paraguay, Sweden, Trinidad and Tobago, Peru, Puerto Rico, Costa Rica and El Salvador; the goal for the players being to gain a place in the Finals to be held next January”, explained Carlos Esnard, the Technical Director for the El Salvador Table Tennis Federation.